As one of the world's oldest condiments, soy sauce has a light and delicate consistency that enhances any dish with bold flavor! 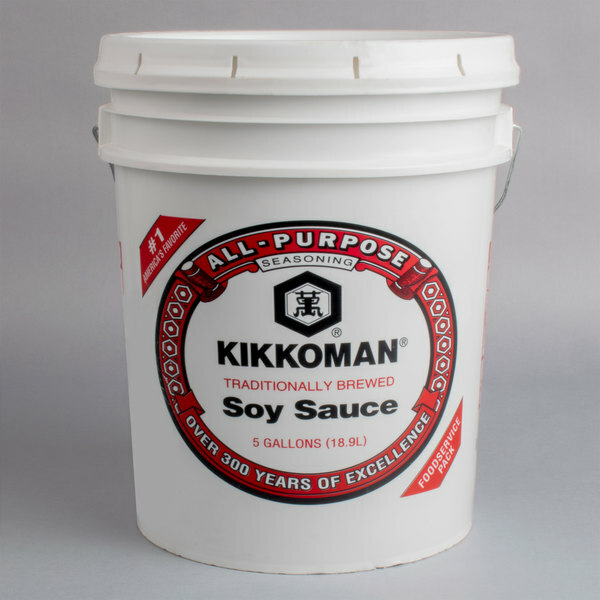 This Kikkoman soy sauce comes in a 5 gallon pail and is naturally brewed from wheat, soybeans, water and salt, and is then aged to develop its mellow flavor and appealing reddish-brown color. In contrast to non-brewed soy sauce that may taste too salty and overpowering, this naturally brewed soy sauce works to balance and enhance the flavors of any dish. 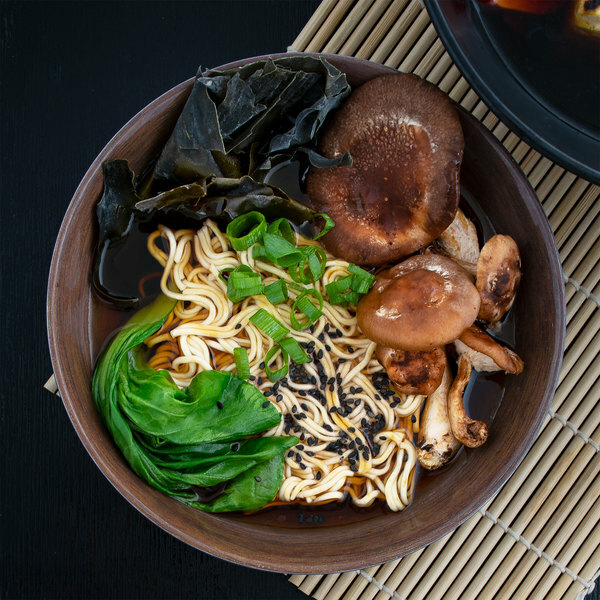 Kikkoman takes pride in their authentic fermenting process to yield true, brewed soy sauce flavor, and it is a recognizable brand for your Asian-inspired restaurant, noodle restaurant, or cafe! A splash of soy sauce is perfect for noodle dishes and for preparing beef, pork, tofu, seafood, and chicken. Blend it into a signature Asian-style sauce, or whisk it into savory dressings and marinades. 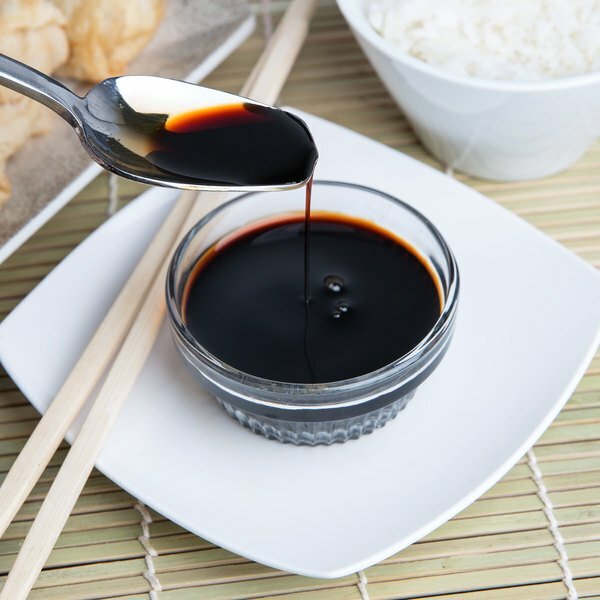 The delicate consistency of soy sauce has a distinctive essence for your traditional Asian cuisine, and also brings new tastes to mainstream American foods! Stock your kitchen with this bulk 5 gallon pail of naturally brewed soy sauce. When buying bulk ingredients, you'll ultimately save costs and keep a good supply of soy sauce on hand for all of your recipes! Kikkoman is hands down the best brand of soy sauce around. we go through so much of this stuff it is crazy so this 5gallon tub is a great deal! No other brand of soy sauce tastes better than this one. I love using it in marinades and dipping sauces. 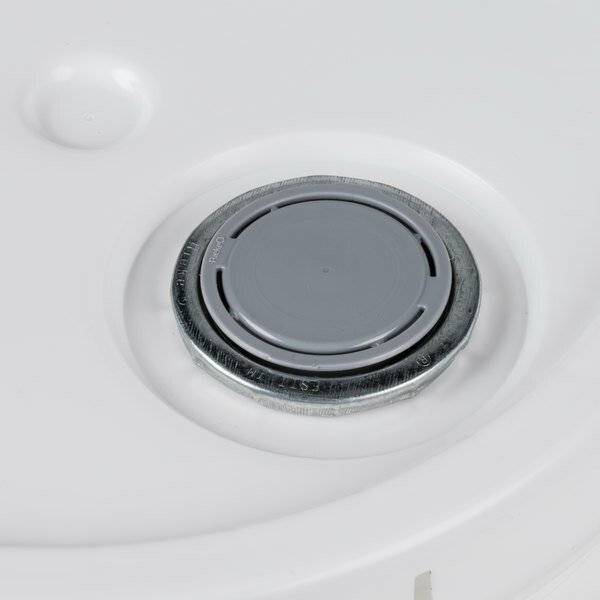 Having it available in large quantities saves money in the long run. It's amazing that you can buy so much product at such an affordable price. If you go through a lot of soy sauce in your restaurant get this! You cannot beat the flavor of Kikkoman soy sauce. It really is the best. 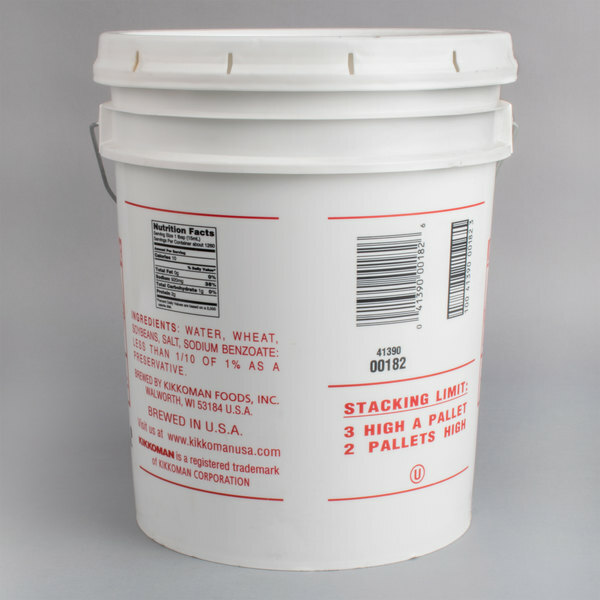 I'm glad that it comes in these big pails because we use a lot of it.